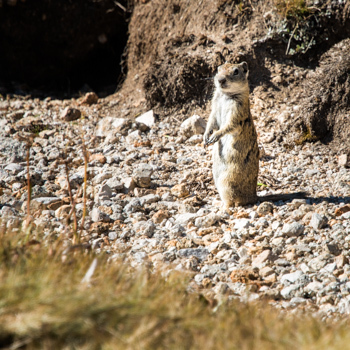 Want to see more wildlife? Hike solo. When I hike with my wife we usually have a running conversation, which warns the critters ahead who would rather not have their presence known. We still have interesting wildlife encounters almost every day, but I definitely see more when I’m walking quietly, by myself. That includes more birds. I’m no birder, but over the years I’ve trained myself to spot a few of the more common species. I don’t try to “collect” sightings, I just enjoy watching them fly, hop, walk (it’s been my experience that they either hop or walk, not both), or just sit on a tree branch. Here are the five species I see most often. #1 – The Stellar’s Jay: The Stellar’s Jay has to be the easiest bird to spot, simply because it makes no attempt to hide. On the contrary, they are so loud and aggressive that they will likely draw your eye even if you aren’t paying attention. While relaxing on a bench at Muir Trail Ranch, I watched several fight over food scraps, all the time making enough racket to raise the dead. Although they eat more seeds, berries, and plants than meat, they will dine on small lizards and even the occasional snake. One other fun fact: despite their neon appearance, their feathers have no blue pigment in them. The structure of the feather is such that only blue wavelengths are reflected; they aren’t really blue, they just look that way. #2 – The Clark’s Nutcracker: The Clark’s Nutcracker (named for the Clark of Lewis & Clark fame) can be found from British Columbia all the way south to Baja California. Like an artfully composed Ansel Adams print, all are a pleasing mix of blacks, whites, and grays. 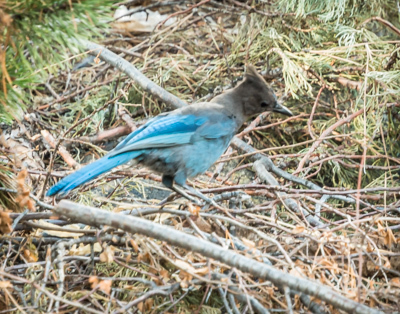 They build their nests in pine trees, where the female lays two-to-four eggs. For a little more than two weeks, both the male and female incubate those eggs. About three weeks after hatching the kids are ready to fly. Once fledged, the young Nutcrackers, with their parents as tutors, learn one of the more unusual and complicated feeding routines ever discovered. 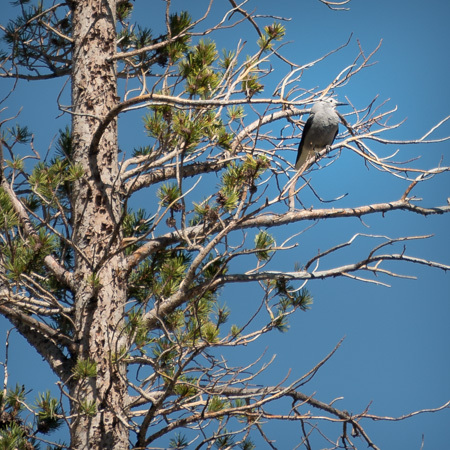 Although the birds are omnivores, willing to eat insects, plants, and carrion, their primary food source is the seeds from pine trees. Each adult bird is capable of collecting nearly 100,000 seeds each season. They use their strong beaks to pry the seeds out of the pine cones and then carry them to collection points in pouches they have under their tongues. Those collection points are underground—with each bird creating thousands of them. What is truly remarkable is this: once the birds have buried the seeds, they are able to find them again, even months later, and even if they are under a few feet of snow. 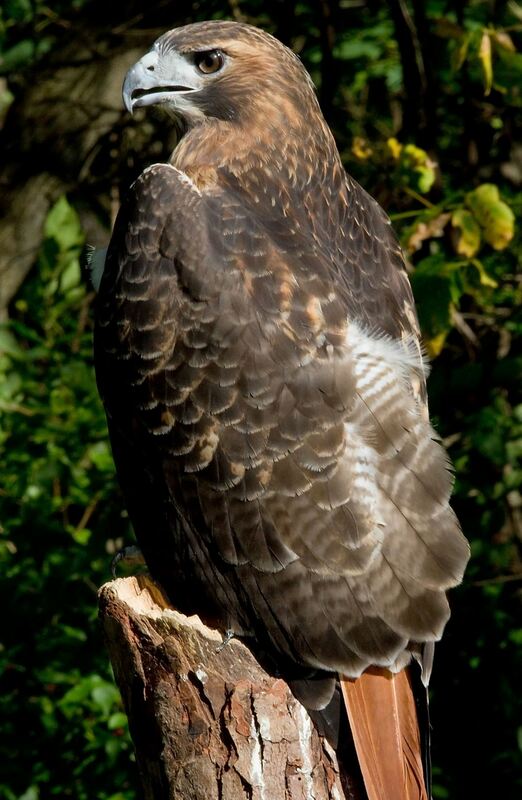 #3 – The Red Tailed Hawk: This raptor is protected under the Migratory Bird Treaty, but it is by no means hard to find. If you’re paying attention, you can probably see several of these each day, soaring at altitude, looking for live meat. If you’re a mouse who has strayed a bit too far from cover or concealment, a red tailed hawk might be the last thing you ever see. My most exciting sighting was actually in a wooded area. The hawk was flying straight towards me when it banked hard to it’s left (my right) and headed away. At it’s closest point it was no more than fifteen feet away. With a wing span of nearly four feet, it was hard to miss! #4 – The American Dipper: The American Dipper is a little less common and is quite an entertaining sight, should you be lucky enough to catch one feeding. I caught the show one evening at a small tarn less than a mile east of Muir Pass. 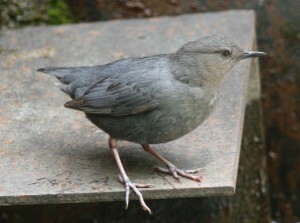 What is remarkable is that the bird, a little smaller than a robin, does not APPEAR to be any sort of a waterfowl at all. It looks unremarkable (even its feathers are a kind of dull gray) until it suddenly dives straight into the water, stays submerged for several seconds, and then blasts out from underwater and into flight. Although it certainly looks like it’s having a good time, the main purpose for the head-long plunges into the water is to feed on insects, larvae, and small fish or tadpoles. Peeking through the brush and into my tent. #5 – The Sooty Grouse: I’ve never seen a sooty grouse fly, although they certainly have the capability to do so. Neither have I ever seen one alone; they always seem to travel in small groups. They are noisy, and considering how plump and tasty they look, I’m often surprised how close you can get to them before they wobble away. If I were a coyote, I’d dine on these chicken-sized birds as often as possible. One night, near Garnet Lake, I actually managed to lure a couple of them near my tent by mimicking the sounds they were making. 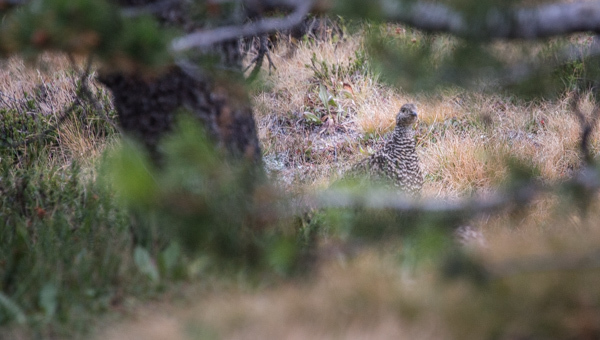 They got to within ten feet of my tent before they decided I was no grouse! 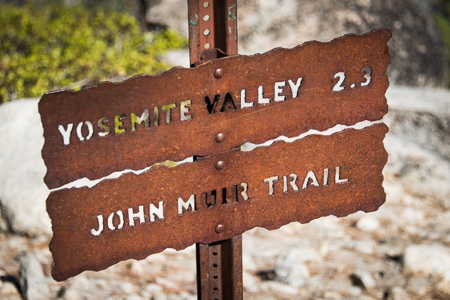 To protect access for other hikers and preserve the quality of the JMT experience, Yosemite National Park is implementing an exit quota on an interim basis. The exit quota will help the park to address access and resource concerns until a comprehensive approach can be developed through the upcoming wilderness stewardship planning process. The interim quota will limit the number of hikers exiting the Yosemite Wilderness over Donohue Pass to 45 per day. The exit quota applies to all wilderness permits reserved or issued after February 2, 2015. Wilderness trailhead quotas are not being reduced. The interim solution will help to restore traditional wilderness use patterns, balance access for JMT hikers with non-JMT hikers in the Yosemite Wilderness, and reduce physical and social impacts. 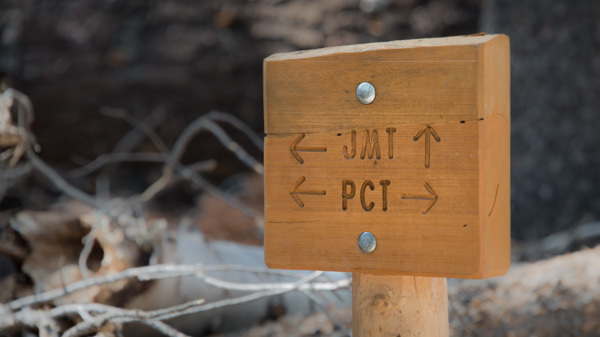 Additionally, the interim quota will allow Yosemite National Park to collect visitor use and impact data along the JMT. Yosemite National Park anticipates launching a planning process to develop an updated wilderness management plan this spring and invites all to participate.